Comes With Extra Power Mag Spring Included! 12/15/11: Redesigned for full range of Glock followers! Requires little to no modification of followers for full capacity and reliability! If any follower modification is required it will be very minor. Refer to Dave's video below for the simple modification. The slide opens and closes to remove base pad. Removes in a second to clean your high cap magazine. 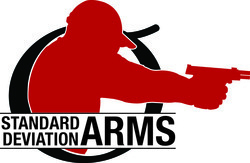 Maintains 140 mm rule for USPSA and increases capacity to the maximum. Adds up to five rounds to a 15-round 40 mags and even more to 9mm mags. For small frame Glock only. Made from high strength aircraft aluminum. Comes with extra power mag spring and instructions on how to install. Use only with 9mm and .40 S&W Glocks. If you experience rounds hanging up while you have a full magazine, please check that you have completely deburred the follower, as shown in the video. If you experience rounds hanging up when the magazine is almost empty, you may need to replace your spring.